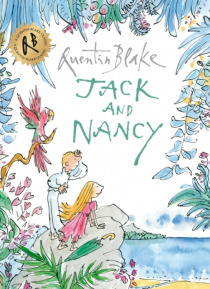 Jack and Nancy love to hear the sailors tell of adventures far away. But one day, they are walking on the cliffs and it starts to rain, so Jack puts up his umbrella. But the wind picks up and WHOOOOSH they are blown away to an exotic island! They explore for a bit, and even meet a parrot, but there are no sign of any ships to get them home. How will they get back?